Ram Gopal Varma, why you do this again and again? The Bhoot director quit Twitter last month and decided to "speak only through pictures and videos on Instagram from now on." However, we think he got it just a little wrong - the problem isn't Twitter or Instagram, it's him. 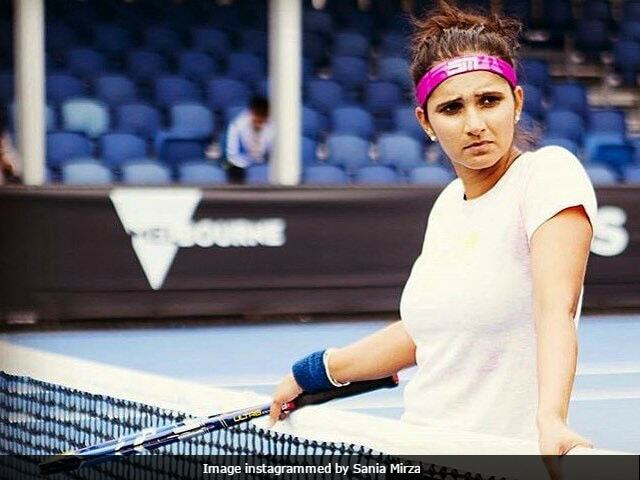 A picture he recently posted of tennis star Sania Mirza, using it to illustrate a point he was trying to make about women's freedoms (and which we didn't get), enraged his followers and Sania's fans, who have rebuked RGV in the sternest terms on the comments thread. "Sania is a big tennis star shouldn't be limited to this cheap sexist mindset and objectifying (sic)," wrote one person. The picture shows Sania mid-volley, the action causing her tennis skirt to fly up. "A girl told someone, MBSLBCI reminded her of, though she was very good at Tennis her father refused to permit her to play beyond a age because she will have to wear skirts. The film is about exposing these regressive minds who use a girl's sexuality against herself (sic)," read RGV's accompanying caption. The picture, posted five days ago, was used by RGV in aid of his new short film, titled Meri Beti Sunny Leone Banna Chahti Hai - RGV appears to have compared Sania's story to that of his film's protagonist. This is Ram Gopal Varma's post. Meri Beti Sunny Leone Banna Chahti Hai stars Makrand Deshpande, Divya Jagdale and Naina Ganguly. The short film released on June 3. Ram Gopal Varma has often invoked Sunny Leone in his Twitter ramblings. On Women's Day, the Satya director posted a series of tweets ending with: "I wish all the women in the world give men as much happiness as Sunny Leone gives." A complaint was filed against Ram Gopal Varma, who later sort of apologized, saying: "Was just expressing my feelings but I apologise to all who were offended due to my unintended insensitive tweets in context of women's day." RGV hasn't yet apologized for the post on Sania Mirza. Ram Gopal Varma last directed Sarkar 3, starring Amitabh Bachchan.